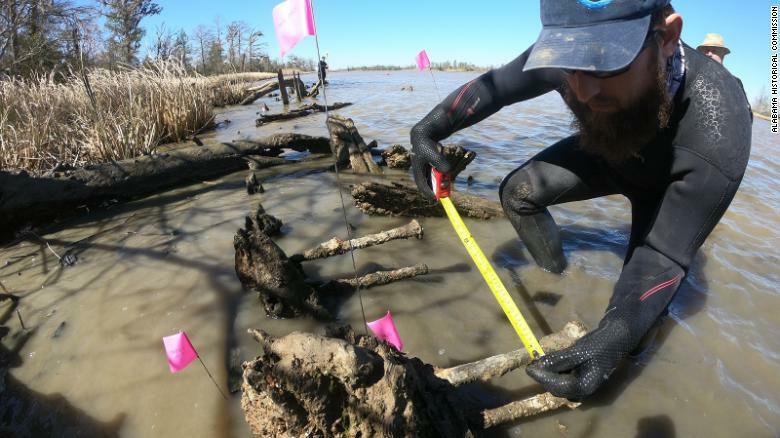 Wreckage found near Mobile, Alabama, turns out not to be the Clotilda, the last American slave ship. The search for the last American slave ship continues. A wreck found on Alabama’s Gulf Coast in late January was believed to be that of the Clotilda, the last known ship to bring enslaved Africans to the United States. But the Alabama Historical Commission said Monday that it wasn’t the ship after all. The remains are simply too big to belong to the Clotilda, said Jim Delgado, senior vice president of SEARCH, a company that the commission had contacted because of its work on historical research. Read the rest of the article by Mercedes Leguizamon and Saeed Ahmed on the CNN website.